KUALA LUMPUR, Malaysia – A durian plantation company has reportedly destroyed a six-month-old blockade set up by the Orang Asli (Indigenous People) community in Gua Musang, Kelantan. According to a report in Malaysiakini, Jaringan Kampung Orang Asli Kelantan president Mustafa Along confirmed the incident, which was also recorded in a video that went viral yesterday evening. Mustafa said that the Orang Asli, who are from the Temiar community, had thought that the workers from the firm had dropped by for a discussion after the latter called for a meeting, not suspecting a confrontation. “We thought they were here to talk, but suddenly, they got out of their vehicles, took out their chainsaws and started destroying the blockade,” Mustafa reportedly said. However, the villagers insisted that they would restore the blockade within a day. 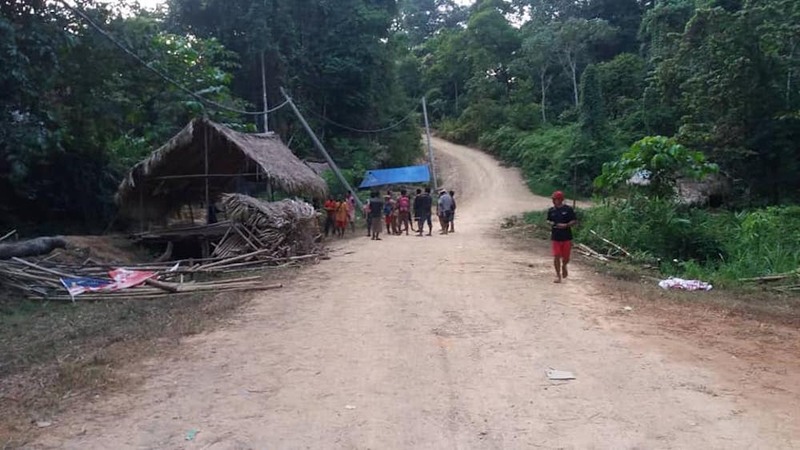 The incident reportedly took place shortly after a visit by Rural Development Deputy Minister R. Sivarasa to the blockade, where he promised to finally gazette the land for the Temiar community. The community resorted to a blockade following incessant logging activity, which they claimed was encroaching onto their ancestral land.